Can we talk cream pies for a second? Pie shells filled with a rich pudding-like custard, and sometimes topped with a big cloud of whipped cream...you know the ones I mean. I'm about to make an admission that may stun and amaze you. Here goes: I can't remember eating more than a single slice of cream pie in my entire 39 years of existence. And I haven't actually made one myself until now. I came close once, with this Coconut NO-Cream Pie that I made (which means that I also ate some) to share over at my friend Bea's blog, The Not So Cheesy Kitchen. But no cream filling is slightly (and by slightly, I mean extremely) different than rich, magnificent, actual custard filling. Just sayin'. I've mentioned several times that I'm more of a fruit pie kind of girl, with nut pies coming in a close second. And of course I grew up eating pumpkin pie around Thanksgiving every year, but that's nowhere near a cream pie consistency. 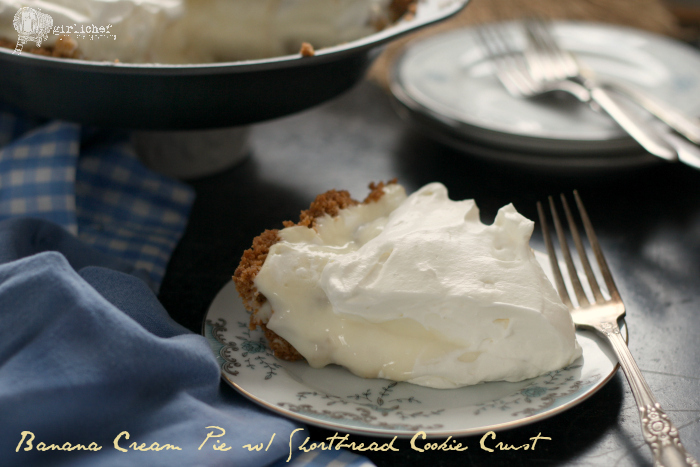 To make a long story short (which I suppose I really didn't), I decided it was high time that I try making an honest to goodness cream pie in my own kitchen. I had to start with banana, because I knew that would be universally accepted (if my home were the universe). Since I'd just picked up a few boxes of Girl Scout cookies a couple of days beforehand, I decided that the shortbread box (minus 3) was going to go towards making the crust for this pie. I could just taste the creamy banana against the buttery shortbread. Let's just say that it was a fantastic choice. You might notice that my pie doesn't stand high and proud. The custard was more pudding-like; even after a night in the fridge, the removal of one slice caused the pie around it to cave in. 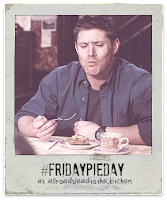 Nobody seemed to care though, because the flavor and velvety pudding texture, against the crunchy, buttery crust felt all-together sinful. 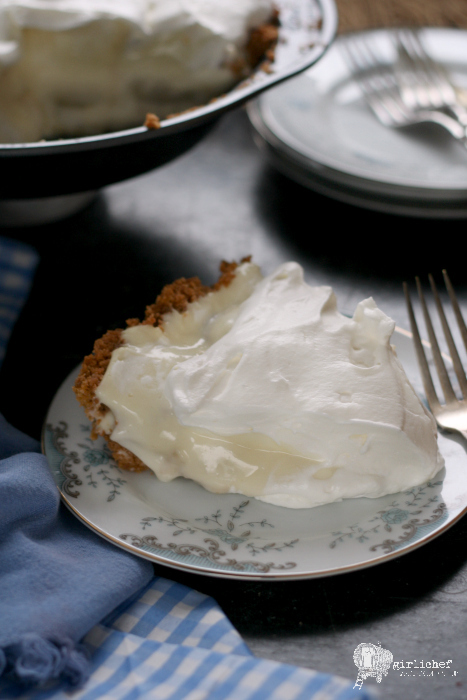 Now that this banana cream pie is a happy memory, I'll revisit cream pies another day and work on giving them height by getting the custard to "set" better (tips and suggestions welcome). Layers of bananas and rich custard, topped with fluffy whipped cream, sit in a crunchy shortbread cookie crust. 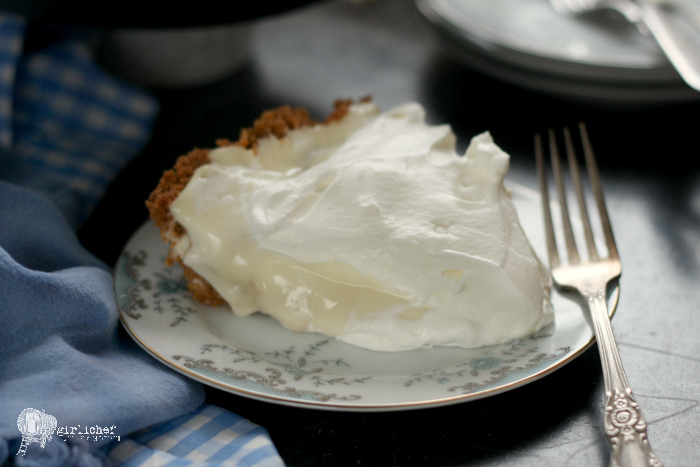 This Banana Cream Pie recipe is sure to satisfy your most decadent cravings. 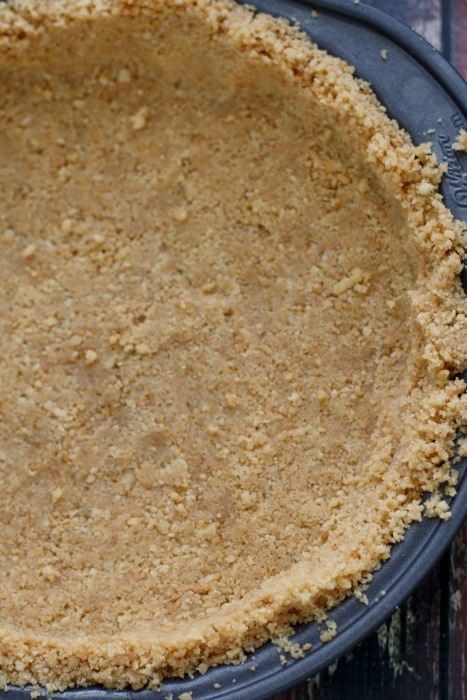 Use a fork to combine shortbread cookie crumbs and sugar in a medium size bowl. Melt the butter, then drizzle it over the crumbs. Use the fork to stir it in until moistened, switching to your hands, if needed. Dump mixture into a 9-inch pie plate/tin. Use your hands and/or the bottom of a measuring cup to press the mixture firmly in the bottom and up the sides of the pan. Place in fridge until the butter has firmed up, at least 30 minutes. Preheat oven to 350° F, then slide the pan into the oven and bake until the crust is set and golden, 12-15 minutes. Allow to cool completely. Combine sugar, cornstarch and salt in a medium saucepan and whisk to combine. Gradually whisk in the milk and cream. Set over medium-high heat, until it just comes to a boil, whisking often. Let it bubble for 1 minutes, stirring constantly. Beat the eggs in a medium size bowl, then very gradually whisk in a little bit of the hot mixture to temper the eggs. Scrape the mixture back into the pot, whisking as you go, bringing it back to a boil. Continue to whisk, it should be very thick in about 1-2 minutes. Remove the pan from the heat and stir in the butter and vanilla. Pour into a bowl (I just use the same one I tempered the eggs in) and allow to cool completely, whisking from time to time to keep a skin from forming on the top. (You could also cool it for about 30 minutes, then lay a sheet of plastic wrap directly on the custard and refrigerate until ready to use). Once completely cool, use immediately (or again, cover with a sheet of plastic wrap, pressing it directly on top of the custard itself, and refrigerate until ready to use). Peel the bananas and cut them into 1/4-inch thick coins. Put 1 cup of the cooled (or cold) custard into the bottom of the chilled crust and carefully spread it out evenly. Cover with half of the banana slices. Carefully spread another cup of custard over the top of the bananas. Cover that layer with the remaining banana slices. Spread the remaining custard on top of that layer. Chill until the filling is set, at least 8 hours. 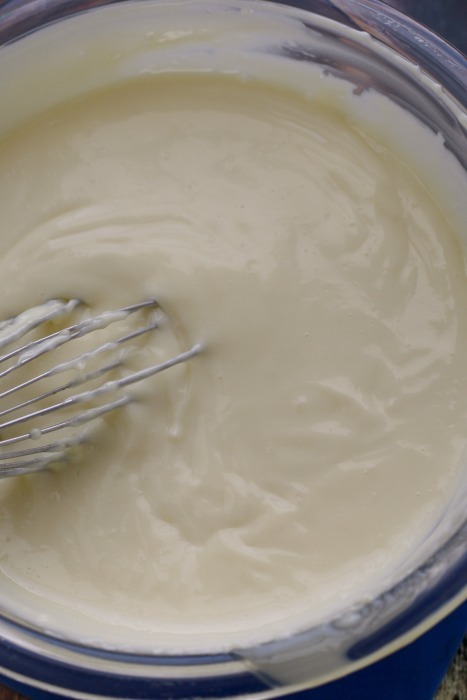 Just before you're ready to serve, combine the heavy cream, sugar, and vanilla in a bowl and beat until you have stiff peaks. Pile it on top of the custard and gently spread it out to cover (or decorate however you like). Cut into 8 slices and enjoy! Store covered in the fridge.